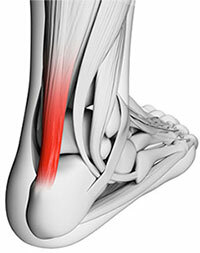 Achilles tendonitis is a common sports injury caused by repeated or intense strain on the tendon. But non-athletes also can get it if they put a lot of stress on their feet. Other things that contribute to Achilles tendonitis include. An increase in activity. Starting a training program after a period of inactivity or adding miles or hills to a jogging regimen are two examples of things that put people at risk for Achilles tendonitis. Sports that require sudden starts and stops; for example, tennis and basketball. 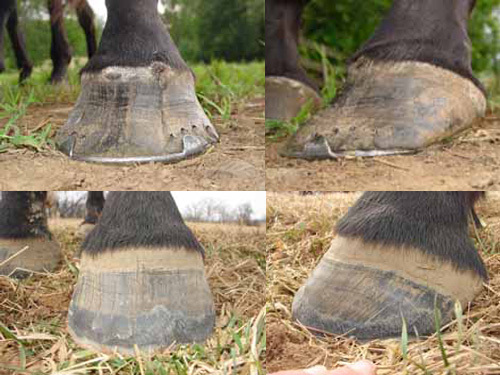 A change in footwear, or wearing old or badly fitting shoes. New shoes, worn-out shoes, or the wrong size shoes can cause a person's feet to overcompensate and put stress on the Achilles tendon. Additionally, wearing high heels all the time can cause the tendon and calf muscles to get shorter, and the switch to flat shoes and exercise can put extra strain on the heel. Running up hills. Going uphill forces the Achilles tendon to stretch beyond its normal range. Weak calf muscles, flat arches, "overpronation" (feet that roll in when running), or "oversupination" (feet that roll out when running). Overpronation and oversupination make the lower leg rotate and put a twisting stress on the tendon. Exercising without warming up. Tight calf muscles or muscles that lack flexibility decrease a person's range of motion and put an extra strain on the tendon. Running or exercising on a hard or uneven surface or doing lunges or plyometrics without adequate training. A traumatic injury to the Achilles tendon.